Another popular universal shrouded Single H.O. 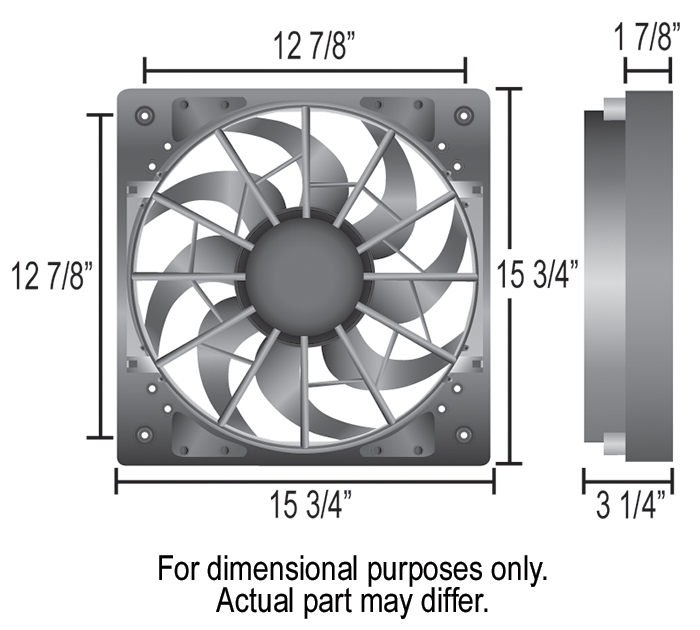 RAD fan, this puller fan features an injection molded shroud with pressure relief vents, 265 watt Bosch motor spinning 11 quiet, patented skewed blades qualifies it for primary cooling use. 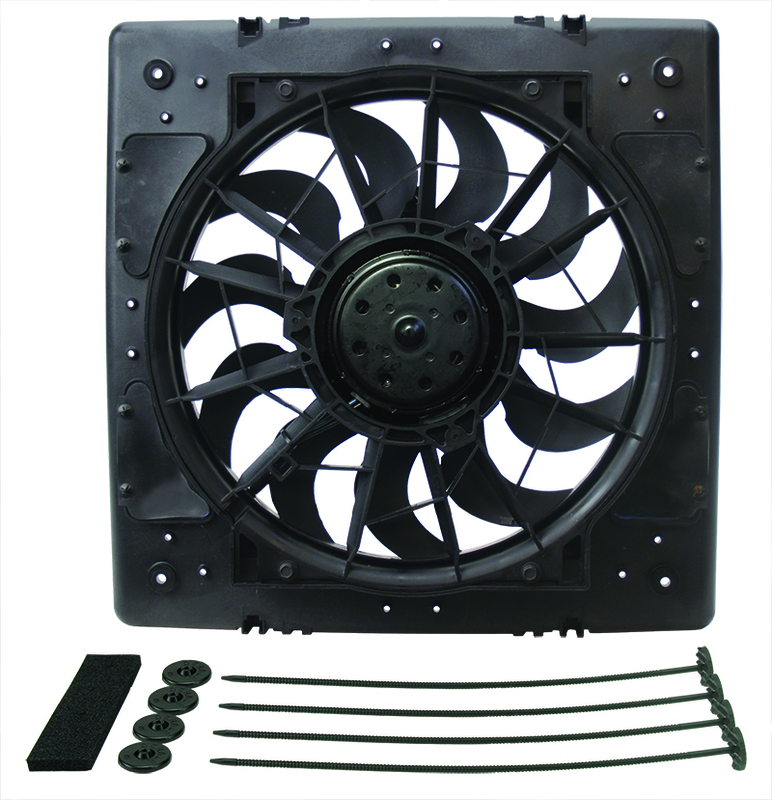 Kit includes 4 plastic, through-radiator core rods and clips and 4 foam mounting pads.